Must I Suffer for My Art? I stink. No, I’m not referring to my writing, or to my editing, or to my behavior or personality. I mean me, my body, I stink. I completely, absolutely, totally reek of coffee. The ironic thing is, I hate coffee. I can’t stand the taste of it, and the smell is only mildly tolerable to me on its best days. 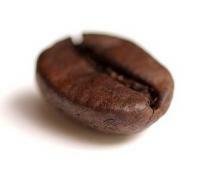 Nevertheless, I am awash in the Eau de Coffee Bean. It’s because I like to write in Starbucks and the Borders Books coffee shop up the street. Sometimes I do go to the public library, but that’s an 40-minute round-trip drive from my house and the coffee shops are just blocks away. Plus, coffee shops are open late into the night, unlike libraries, which are lucky even to be open at all these days. Then there’s the fact that coffee shops play lovely background music. And they don’t have free Wi-Fi access, which keeps me focused on my writing and editing instead of slipping into net surfing. And finally, in a coffee shop I can toss back beverages while I work, something I truly enjoy. For better or worse, I like a glass of something when I’m reading or writing. Coffee shop hot chocolates aren’t anything worth writing about, and they have caffeine that keeps me up, so I generally order a caramel apple cider, no whip. (Omitting the whipped cream omits the guilt.) For all these reasons, I really do get sincerely good work done in coffee shops. The problem is, they brew coffee in coffee shops. Now, I can generally ignore that faint background smell, but when they grind a batch of coffee beans, sweet fancy Moses. I nearly pitch over, then and there. The fumes are overpowering. They swoop across the room like some hideous tropical storm, claiming the body of any human being in their path. My hair and clothing don’t stand a chance. My coffee bean perfume is so strong that my four-year-old triplets have started calling me Coffee Girl. When I come home from a couple of hours of working, they bum-rush me at the door and sniff at my shirt hem and pant legs. It’s like being set upon by a pack of curious dogs. It takes hours of hanging for my clothes to un-stink, and only a good hair-washing salvages my brown tresses. But then, I suppose it could be worse. 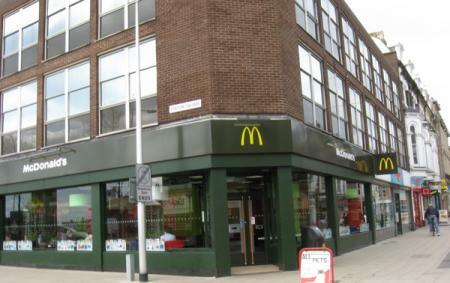 In Lowestoft, England, the only place open after 6pm and on a bus route and thus accessible to me, was McDonald’s. For a year that was my office when Lowestoft’s wonderful library, just steps away, closed for the evening. Eau de Coffee Bean versus Eau de French Fry Grease…. is it even a contest? I’m sorry Debbie, I can’t agree. To me coffee is one of the truly great aromas – especially the grinding bit. to mind when walking down the street in Palm Springs when the fudge place had a pipe going outside and the smell would literally “drag” you to it!! None of us could resist it! !